It is Thursday! The threat of a winter storm has moved into the area and the rush hour should be a mess a bit later in the morning. It is always an event in this area when bad weather arrives. So I have a few updates and some questions this morning. The first question is what is wrong in the image to the left? 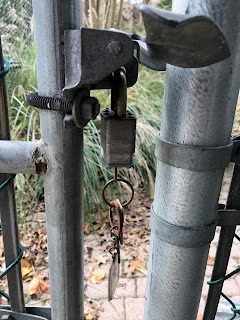 This is how I found my gate after others had been kind enough to lock up after themselves. The problem? How does leaving the key in the lock really secure the gate? 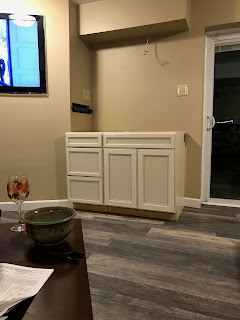 By way of update for the remodel project in the basement, the cabinets arrived last evening. Chris and I picked them up at Lowes and began the process of installation. They look good in the location we chose for them. We have a cabinet to install above them. I actually will install the cabinets tonight. 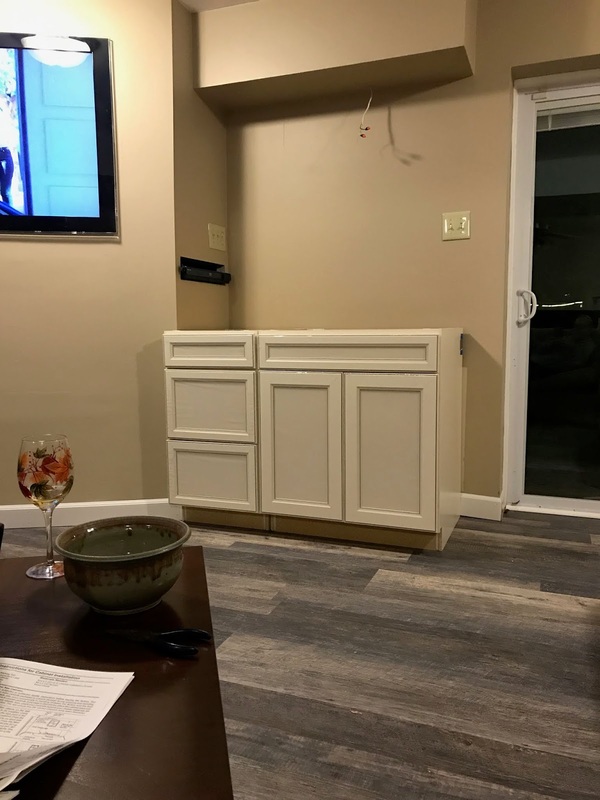 Yes, I will install the wall cabinet before the base cabinet. We are still unsure about installing a sink, but will retain the option for the future. So, what about the electric wire? It will be used to power under cabinet lights. It is exciting that the project is nearing completion, but, there are still so many things remaining before we can consider the project complete. 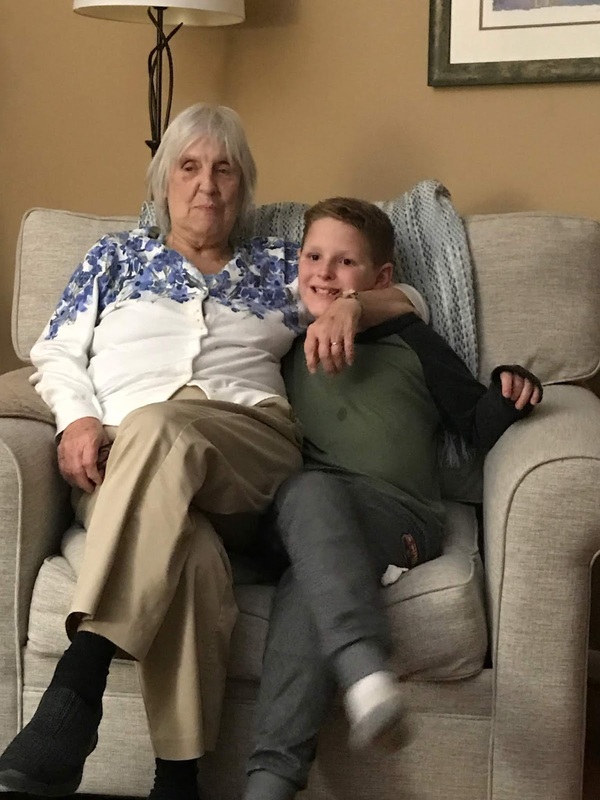 Finally, I have a nice image of Mom with Lucas. Lucas had the opportunity to play with his great-grandmother while they were here for a short visit. It was fun to watch them together. Lucas does not get many opportunities to enjoy the company of Mom, nor she, him. It was a short, but meaningful visit! And we christened the remodeled basement, even though it was not yet complete. An assortment of thoughts for the Thursday morning.